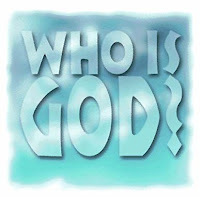 Author of the famous book 'Conversations With God', Neale Donald Walsch shares his views on 'Who is God ?!' speaking at a lively presentation on God and Love at the Fort Collins Lincoln Center, Colorado. Neale, a modern day spiritual messenger whose words continue to touch the world in profound ways. With an early interest in religion and a deeply felt connection to spirituality, Neale spent the majority of his life thriving professionally, yet searching for spiritual meaning before beginning his now famous conversation with God. His With God series of books has been translated into 27 languages, touching millions of lives and inspiring important changes in their day-to-day lives. Neale was born in Milwaukee, WI to a Roman Catholic family that encouraged his quest for spiritual truth. Serving as his first spiritual mentor, Neale's mother taught him not to be afraid of God, as she believed in having a personal relationship with the divine-teaching Neale to do the same. A non-traditional believer, Neale's mother hardly ever went to church, and when he asked her why, she told Neale, "I don't have to go to church-God comes to me. He's with me and around me wherever I am." This view of God at an early age would later move Neale to transcend traditional views of organized religion. Read Neale Donald Walsch's Biography ! The Awakening : All is One ; One is All ! Gregg Braden's God Code : It's in our DNA !